Dubai: All schools in Dubai, not just non-profit schools, should have a board of governors, a top education official has said. Dr Abdullah Al Karam, director-general of the Knowledge and Human Development Authority (KHDA), says the mindset needs to change that a governing body is not required for “commercial schools”. His comments came on the sidelines of the ‘What Works’ conference, organised by the KHDA last week. Dr Al Karam told Gulf News that the KHDA looks at governing boards when assigning an official quality rating to a school during annual checks. “We are highly encouraging it [governing boards] and when we look at governance at the school, we look at it through inspections. It’s an integral part of the inspections,” he said. Dr Al Karam said educators or investors can no longer think of governing boards as a body exclusively for “old, not-for-profit schools”. He added that commercial schools also need a higher body to guide senior management, bring in expertise from various fields, and reach out to the wider community. 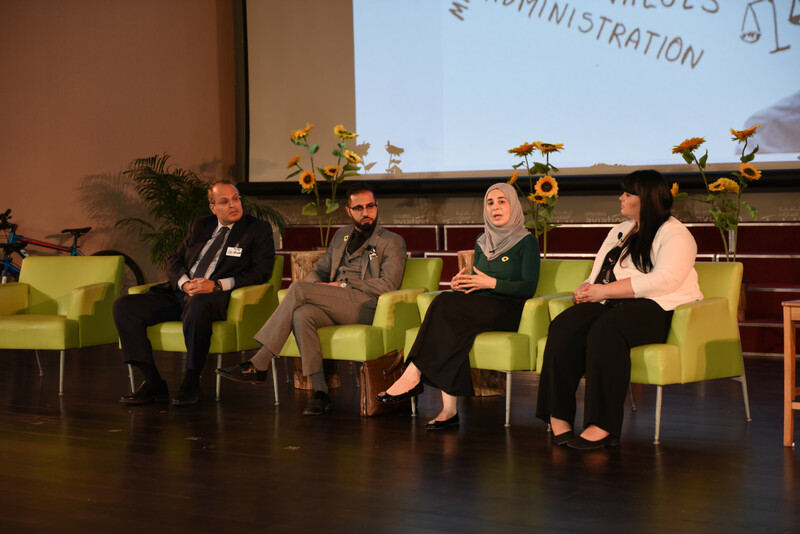 “In the past, it was always thought ‘for-profit schools have an owner, so what is the role of the board?’ No — there is a role for the governing body, there is a tremendous role,” Dr Al Karam said. He added that there is “a direct correlation between a school with good governance and its quality. And this is something we are keen on”. His comments were echoed by current and former members of governing boards of schools and other institutions during an interactive session at the What Works conference. Dr Al Karam said during the session that regardless of the kind of school, “I think there is always a way to have good governance; and let’s not make excuses on this”. Farah Sarraj, board member of Deira International School, said during the session that school boards should “self-evaluate themselves against set criteria... The board is judging [the performance of staff] and maybe it needs to be the other way sometimes also”. The culture of participating on school boards is growing in Dubai, Gulf News reported in June during the launch of ‘The Gift of Good Governance’ guide for school boards by the KHDA. School boards — which are independent from school employees — set the strategic direction of the school and take decisions on significant issues such as fees, budgets and mission statement goals. The day-to-day running of the school is entrusted with staff such as the principal, administrators, head teachers, etc. During the launch of the 42-page guide, residents from different walks of life had said they are volunteering their time to be on school boards out of a passion to improve schooling. Board members include parents, corporate leaders, engineers and others. Speaking last week about the guide — which is non-binding — Dr Al Karam said the book is helping create “a common language” or terminology for board members. He also pointed out that there was no universal structure of a governing board and schools should strive to establish what is most suited to their needs. Among the general practices noted in the document, the guide says school boards should have the authority to hire and terminate school principal; in addition to defining the core values of the school, and its mission and vision; and understanding that board members have obligations to the school and wider society.